As the big day approaches, all eyes are turned to Hollywood and we all wonder—just who will be graced with the honor of Oscar? I am no different…..the Oscars is my Superbowl, so everyone will know where I will be Sunday………GLUED to the TV screen watching all the Red Carpet triumphs and blunders and cheering and booing when my faves win or are shamefully dissed. Achievement In Costume Design – The Duchess ( I want to say B.B., but I figured I’d give someone else a chance, and you can’t go wrong with a period piece for best in costume. Although, Australia could prove to be the dark horse in this race, but I really can’t say because I haven’t seen the movie yet. Anyways, can you tell B.B. was my most favorite film of the year? It’s 3rd I think currently on my favorite movies of all time list, just behind the LOTR franchise and The Chronicles of Narnia flicks, and just infront of King Kong. Legends of the Fall, Braveheart and Titanic are in there somewhere, too, but that’s another story. Anyhoo, Ben Button has 13 nominations, the most nominations out of any movie this year, so it’s bound to win something! Have fun! Academy Awards, Awards Season, Awards Watch, Oscar, Oscars, TV. Bookmark. MIA, B.B., M & M and Oscar! And While We’re At It, He’s Just Not That Into You! I'm with you on the wish list! Go Brad! Wouldn't it be cute if Ange and Brad both won? Could you imagine what it would be like in their crib? I'll be watching for sure! 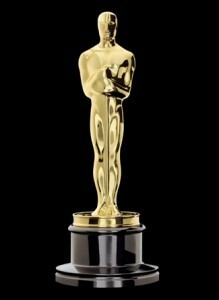 PS I bet Mad would use the twin oscars as book ends or foozball goalies! On all the Black Ent. sites, Taraji was known as a kind of slob. Since doing The CC of BB, she has changed her slovenly ways, and she uses visene on her once always puffy, red eyes. She wears better matching outfits and now looks faboosh! Great predictions, although Slumdog may do better. Or not because of the scandal surrounding the improper payment of the Indian child actors in the movie. I can't wait to see if you are right!